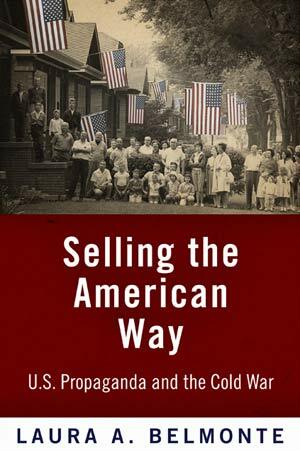 Selling the American Way is about the ways that the U.S. government defined and disseminated official narratives about American society, politics, and culture during the early Cold War. Using radio programs, printed materials, films, music, art, sports, and other means, the State Department and the United States Information Agency sought to persuade foreign audiences to embrace democratic capitalism and to reject communism. The book’s first two chapters detail the political context in which these peacetime propaganda activities evolved and explain why it was often quite controversial for a democracy to engage in these activities. 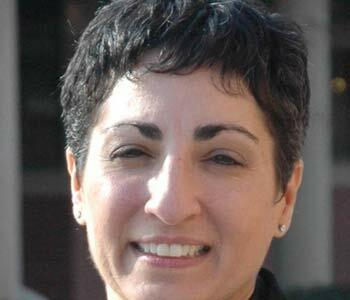 Heated political battles arose about the possible ramifications of targeting foreign audiences. Would, for example, a mass exodus of refugees from behind the Iron Curtain, overwhelm relief agencies? Would a U.S. propaganda offensive trigger a popular uprising that necessitated a U.S. military response? What, exactly, defined “the American way of life”? Such questions bedeviled U.S. policy makers, information experts, and congressional representatives. The book’s next four chapters examine how specific elements of American life (politics, consumerism, labor, gender and the family, race, and religion among others) were “packaged” for international audiences. I discuss how the hallmarks of democracy and capitalism were explained and why and how foreign audiences did not passively or completely accept the visions of the United States being propagated abroad. Foreign audiences instead adopted a selective approach to what they admired and what they found hypocritical or contradictory. While it may have been easy for international audiences to grasp the allures of the U.S. standard of living as juxtaposed to life in a Soviet labor camp, they proved much more skeptical about declarations that the United States was actively combating racism and segregation. Selling the American Way is written to be accessible to readers of serious nonfiction. I have intentionally avoided freighting the book with jargon and have situated these Cold War-era propaganda campaigns within the context of post-9/11 America. Accordingly, I hope the book will be both relevant and enjoyable.